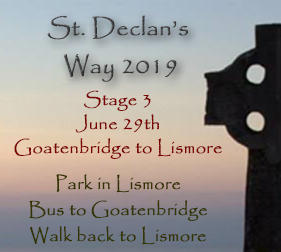 Ticket for all 5 stages of St. Declan’s Way 2018. Stages are all on the last Saturday of the month from April 27th to August 31st. Includes a free Pilgrim Passport & St. Declan’s Way badge. 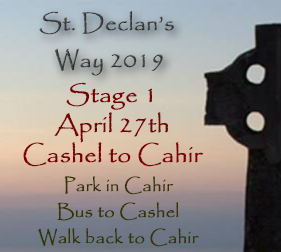 Ticket for all 5 stages of St. Declan’s Way 2019. 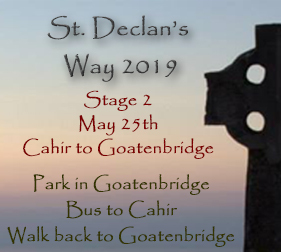 Includes a FREE Pilgrim Passport & St. Declan’s Way badge.